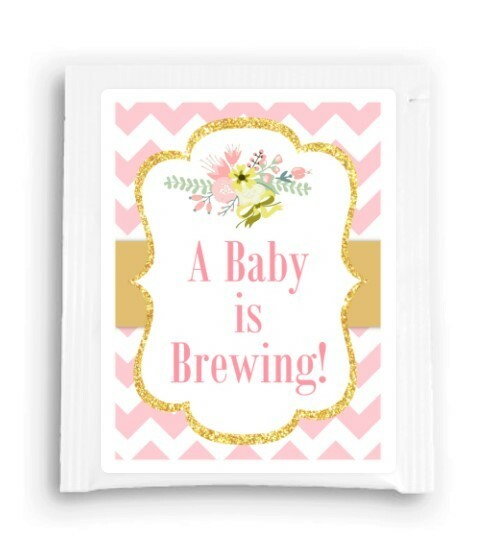 Our Pink and Gold "A Baby is Brewing" Tea Bag favors are perfect for your tea party / baby shower. The labels are printed and affixed to the front of the white foil envelopes that hold tea bags inside. Tea bags ARE included! When you receive these, they are complete favors and ready to be used for your party!